Dial Archive | Dial | Impact Strategies Redesign | One Lucky Guitar, Inc. Sometimes a company’s website isn’t reflective of the great work they do. When Mike Stone of Impact Strategies came to OLG, he realized his website needed the same level of professionalism and care that he offers his clients. We took this into consideration and thoughtfully crafted a new website and logo that express these values. Migrating the existing site was a smooth transition, as it was already built on top of our go-to CMS–Wordpress. With a new logo, color scheme, responsive layout and website design, we were pleased with the results. 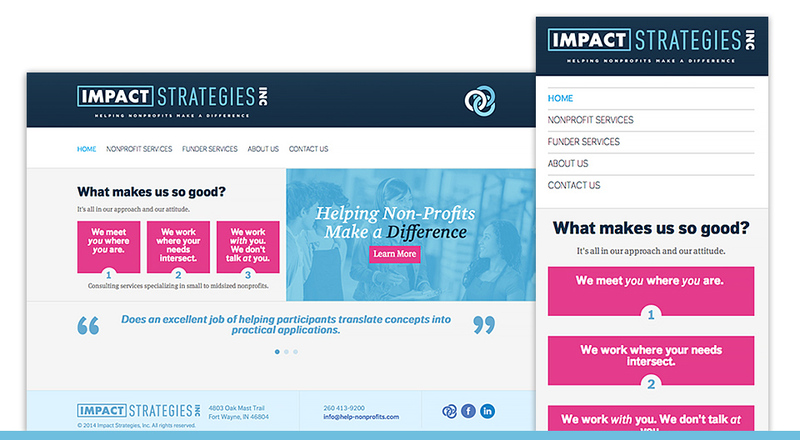 Have a look at the newly redesigned Impact Strategies website here. PREV | It's a Wonderful Parade!